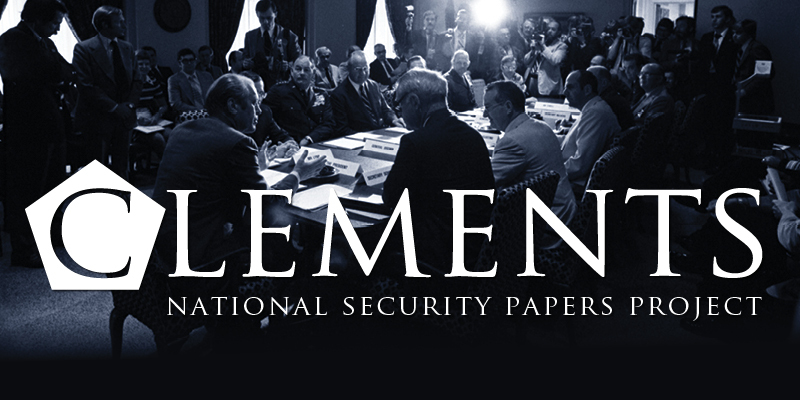 The Clements Center for National Security and the Dolph Briscoe Center for American History are proud to launch the Clements National Security Papers Project. 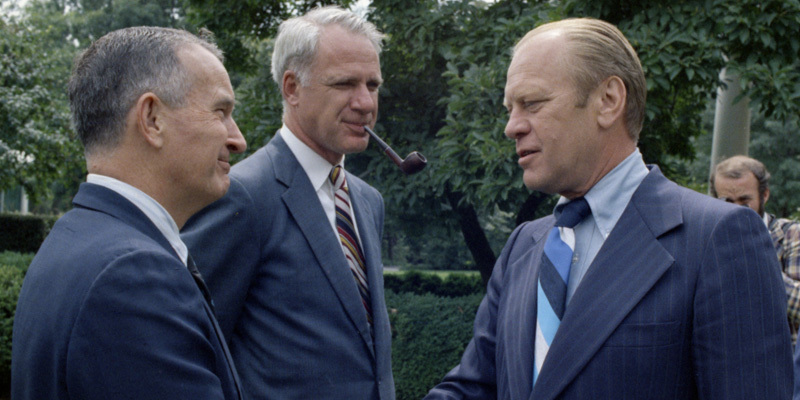 The White House Photographic Office (WHPO) provided still-photographic coverage of the day-to-day activities of President Gerald R. Ford, First Lady Betty Ford, and their family and staff. These selections highlight events with Deputy Secretary of Defense William P. Clements, Jr. and represent a small portion of the collection. The Clements National Security Papers Project currently contains over 15,000 pages gathered from the Gerald R. Ford Presidential Library, Nixon Presidential Library, Library of Congress, and the National Archives. The Project is an ongoing effort, with 14,000 more pages currently being processed. New documents from additional archives will be added as they become available. 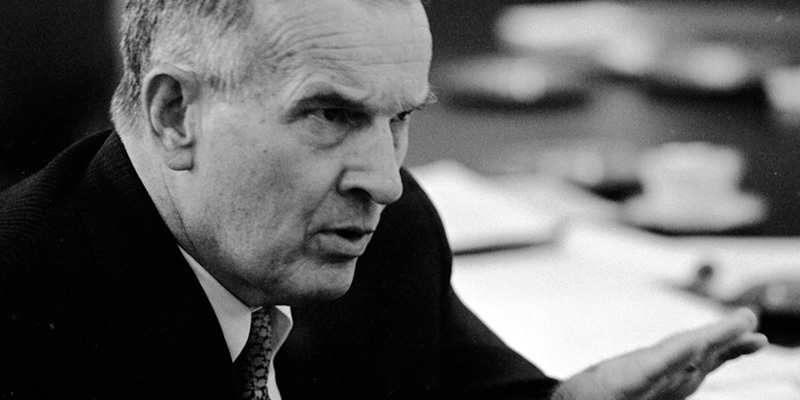 William P. (Bill) Clements, Jr. served under Presidents Nixon and Ford as the Deputy Secretary of Defense, from 1973-1977. As such, he was a regular participant in meetings of the National Security Council and other groups tasked with policy development and implementation. The Briefing Books are a deeper look into a few of the topics Bill Clements worked on during his tenure as Deputy Secretary of Defense, with links to a select collection of archival documents. The Briefing Books are designed to allow users to focus on particular issues that may span a period of years. The Oral History Project is a collection of interviews with top ranking government and military officials who worked with Bill Clements during his time at the Department of Defense.